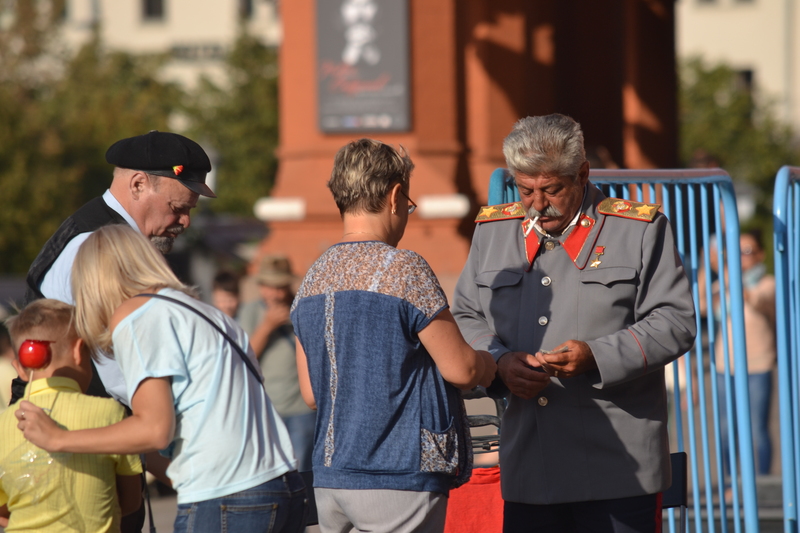 Stalin lookalikes work Red Square, puffing on pipes and pretending to talk into mobile phones. There are Lenins, as well, and a much less convincing Putin; but it is Stalin the tourists want to be photographed with, as if with a favourite uncle. There was nothing avuncular about Stalin, although sycophants gave him cuddly names like “Father of the Peoples” and “Best Friend of All Children”. Even a Marxist historian described him as “an autocrat of exceptional, some might say unique, ferocity, ruthlessness and lack of scruple*”. “Death solves all problems,” reckoned Stalin, “No man, no problem”. It took little to get yourself shot under his regime, much less to get 25 years in a labour camp. An incautious word, a malicious rumour, a family connection, a suspect nationality, a friendship with an unperson, a target not met (obviously sabotage), surviving a Nazi camp (obviously a spy), or just because someone with power took against you. The number killed in the purges, starved in the famines and worked to death in the labour camps has been estimated at anything between 4 and 60 million, most often between 10 and 20. But at such orders of magnitude the exact figure hardly matters. Stalin knew that well enough. “One death is a tragedy,” he said, “a million deaths is a statistic”. In his lifetime, he was lauded as “the Greatest Genius of All Times and Peoples,” but Khrushchev denounced him in 1956 and he remained an unperson – Khrushchev became one as well – until the end of the communist era. But there was always a current of affection for the old dictator. The idea of being ruled by a silnaya ruka – iron hand – is deeply embedded in Russian history; and the industrialisation, under Stalin, of what had been a hopelessly backward agrarian economy was truly impressive, although achieved at appalling human cost. Stalin’s legacy is everywhere in Moscow, from the ruby glass Soviet stars on the Kremlin’s towers, through the famously extravagant Metro stations, the yet more extravagant All-Russia Exhibition Centre in the suburbs, to the skyscrapers known as the Seven Sisters, blending Modernism, Baroque and Gothic in the Stalin Empire Style, and the Four Seasons Hotel with its asymmetrical front, because the Greatest Genius of All Times and Peoples approved both of the designs he was asked to choose from and the architect dared not tell him he had goofed. The vanity projects siphoned funds away from public housing, and as the ‘Palaces for the People’ were going up, the people themselves were crammed into communal flats. 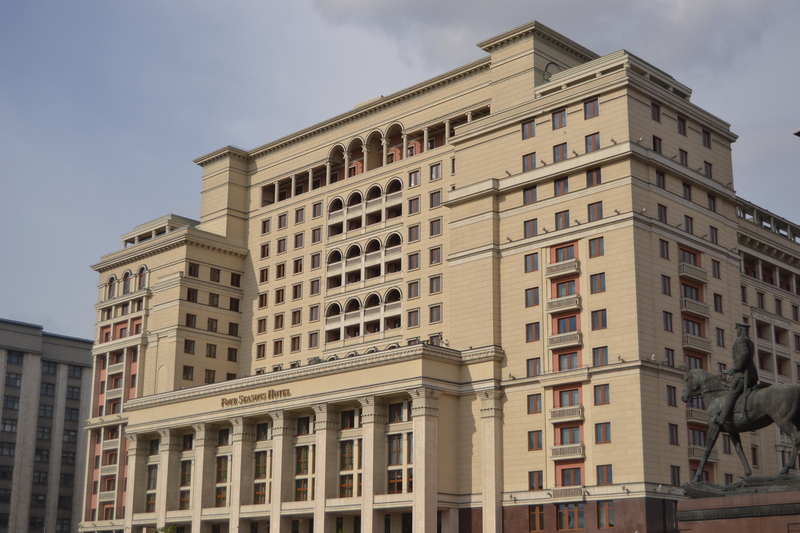 Stalin’s reputation, paradoxically, began to improve when the Soviet Union collapsed. Less than half of Russians surveyed in 2001 had a negative impression of him. By 2006, it was only 29%; some 47% had a positive impression, and 35% said they would vote for Stalin if he were alive and standing for election today. In 2008, he came third in a poll to find the Greatest Russian in History. This all might seem incredible, looking from the outside, but patriotic nostalgia, anywhere in the world, often does. 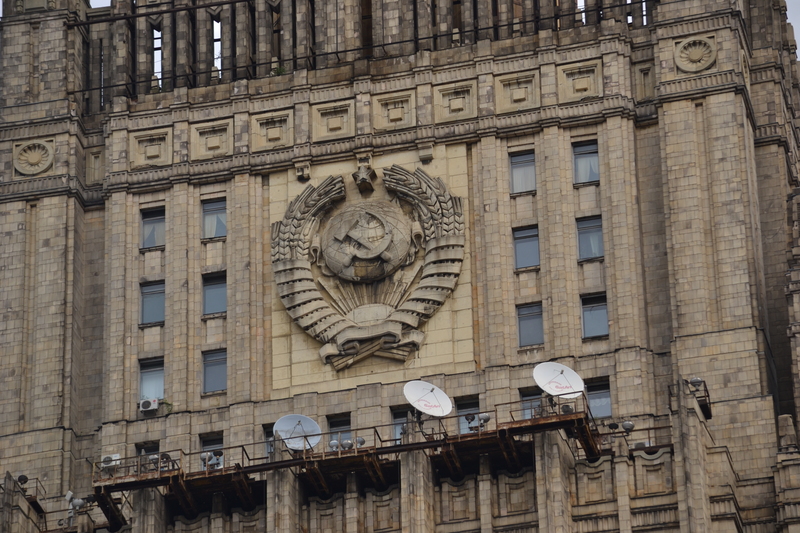 Statues and billboards of Stalin have begun to reappear in the past decade, for the first time since the Khrushchev years. Government-approved schoolbooks put a positive spin on his actions. President Putin has responded to questions about him with classic whataboutery. Yes the Great Terror was bad, he acknowledged, but not as bad as Hiroshima or Vietnam. “What’s the real difference between Cromwell and Stalin?” he asked rhetorically, and answered himself, “None whatsoever”. It might seem counter-intuitive for a leader from the authoritarian-nationalist right to defend one of the revolutionary left. But Stalin, in turn, admired Tsar Ivan the Terrible. A silnaya ruka transcends ideology.